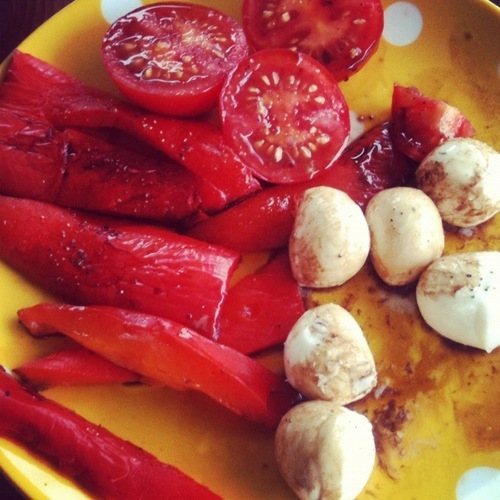 This month’s new food completion (#17: Make new food dish a month): roasted red pepper. Hey, it’s new to me! I used this recipe. Easy enough! Just let it cool down before you start to peel. I served it with baby tomatoes, mozzarella, and drizzled balsamic all over it. Simple and delicious.